Microsoft is working to build a Sturdy ecosystem for quantum computing for quite some time now. In Microsoft's recent Ignite 2017 tech conference in Orlando, Florida, Microsoft chief executive Satya Nadella said the company will be releasing a new programming language for quantum computers, along with full Visual Studio integration and a quantum computing simulator, later this year. “Through quantum computing, we can unlock solutions to problems in areas such as artificial intelligence, clean energy, global warming, materials design and much more. At Microsoft, we’re on the cusp of empowering a quantum revolution with our unique, topological approach,” Mr Nadella said. “At Microsoft we are taking a ‘full stack approach’, including programming and controlling the quantum computer at scale. And we want to empower developers and engineers around the world to develop these types of solutions. In order to explain the difference between quantum computers and the current state of the art, Nadella used the corn maze. If a classical computer were to try to figure out the maze, Nadella explained, it would start down a path, hit a wall, back track, start again, hit a wall, and back track again until it finished all its options. No doubt, the answer would be found but it could take a lot of time. While Microsoft has yet to announce what its new programming language will be called, the company says you won’t need to be a quantum computing expert to use it since the language will be deeply integrated into Visual Studio. While this programming language for quantum computers should work much like other supported programming languages, it will also help developers to take concepts from C#, F#, Python and other languages. In the short term, code from the language will run in a quantum simulator. However, in the future, programs built with the programming language will be able to run on actual topological quantum computers. “The system, which will be available as a free preview by the end of the year, also includes libraries and tutorials so developers can familiarize themselves with quantum computing. 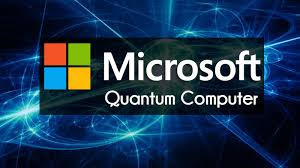 It’s designed to work at a higher level of abstraction, so that developers without quantum expertise can actually call quantum subroutines, or write sequences of programming instructions, working up to writing a complete quantum program,” said Microsoft. Microsoft is also going to release two versions of a quantum simulator. While one version will run locally, the other version will be powered by Azure. The local version of the stimulator will offer up to 32 qubits and will require 32GB of RAM. Each additional qubit doubles the amount of memory required. The Azure version will scale up to 40 qubits.